Overtaking manoeuvres often feature in accidents involving a motorcycle or motorcycles. Whether you are overtaking a line of slow-moving cars, being overtaken by a vehicle which is too close to your motorcycle or passing a car which decides to turn right or even attempt a u-turn, when you’re on two wheels, overtaking or being overtaken is a potentially risky manoeuvre. You should only overtake when it is safe and legal to do so – but this invaluable piece of advice from The Highway Code can be construed differently by other road users, which can cause problems when trying to establish liability. 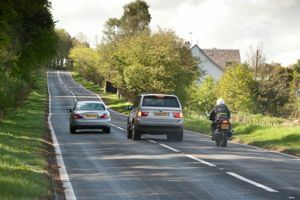 There are many factors to take into account when presenting a case regarding an accident involving overtaking and a motorcyclist. To find out how the Courts have approached the issue of overtaking, please have a look at the decisions below.